I have been having so much fun in the kitchen lately. It seems as though my pregnancy for Hanna really took a lot out of me and I stopped doing so much of what I love (baking, cooking, walking, etc) so I’ve been trying to get back into the swing of things more and more. Last week we had a really special movie night where we watched the new Limited Edition SING movie a few days before its actual release on Blu-Ray and DVD. Of course, this special occasion called for some special treats. You can see what all we had here, but also below! 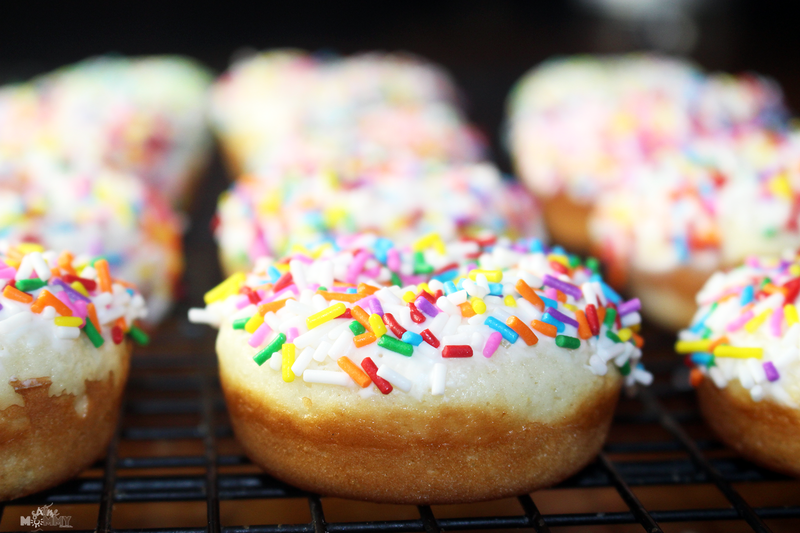 I decided it was the time I put my new mini donut pan to good use and made some baked mini sprinkle donuts! These are so simple I am sure even the kids would be able to do it on their own with very little help. Of course, my kids helped, and loved every minute of it. They loved helping get the icing on and dipping the donuts in the sprinkles! Preheat your oven to 425 degrees. Mix all dry ingredients together in a bowl. Add in butter, buttermik, egg and vanilla, mix until just combined. Put the batter into a ziploc, or large piping bag (i just used a spoon!) and fill the donut pan – each donut half full. Bake 7 minutes, and remove from oven. Let sit for 5 minutes then transfer to cooling rack. 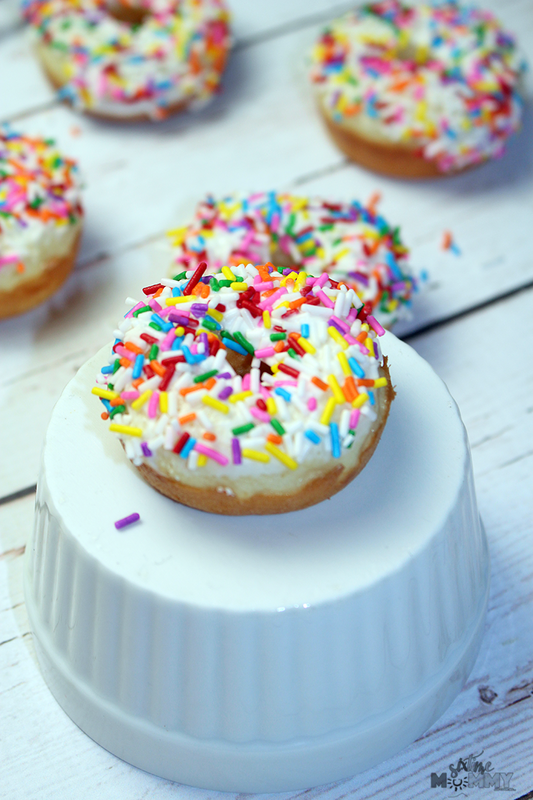 Dip donut tops into icing (we just used regular fluffy vanilla) and immediately dip tops into sprinkles. Then you are done! As I’ve gotten older my tastes have changed so much. I used to hate every single vegetable, and now I don’t mind most of them. We’d frequent Tim Hortons often but the only donut I would touch was the Hawaiian Dip. (what this type of donut is called at Tim Hortons), but now I order Apple Fritters, Sour Cream, and specialty donuts more often than Hawaiian. I will still always have room for the Hawaiian though, so being able to make them is a lot more thrilling than having to walk down to one of the two Tim Horton’s by my house. I can actually make these in my pajamas, and not have the leave the house at 11p if the craving hits. That’s a win I’d say. If you are anything like me and really enjoy making sweets you’ll love this recipe. 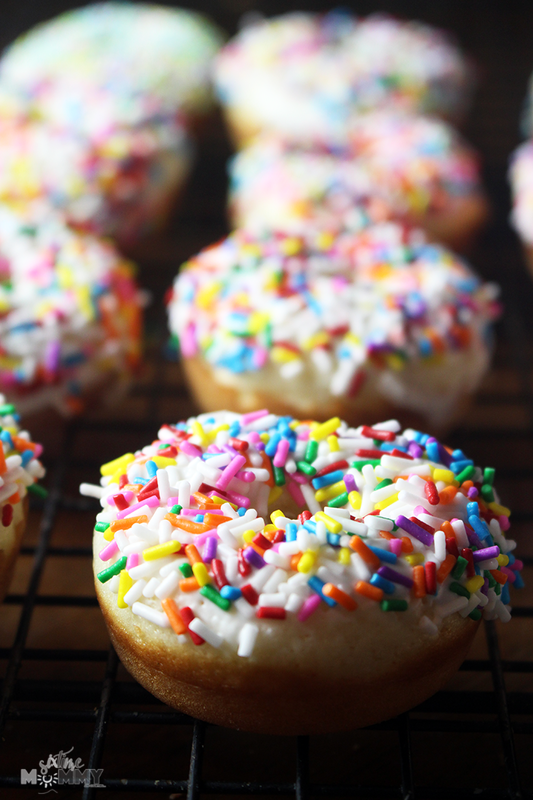 It’s simple, quick and isn’t nearly as daunting as I originally thought donut making would be. 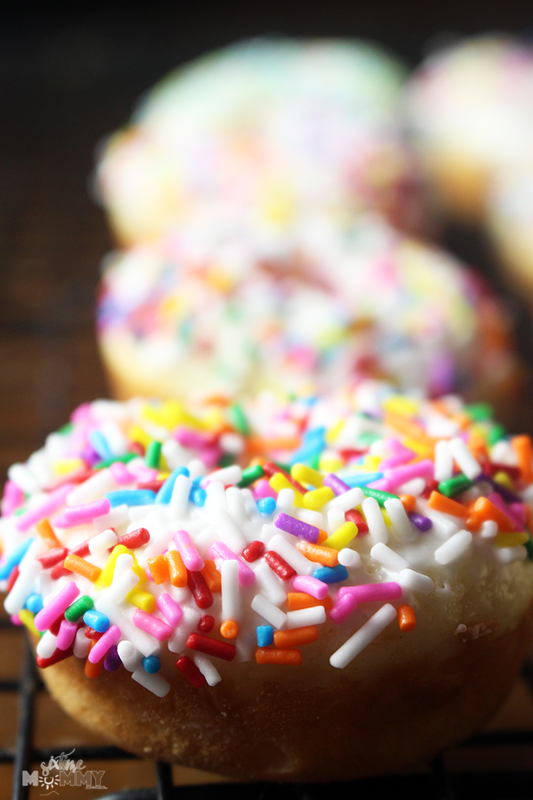 There are so many different ways to make donuts, and I am really looking forward to trying a chocolate glaze next. I want to fiddle around with ingredients to see if I can come up with anything interesting, but I’m afraid that may a bit more tricky! The perfect little snack with a big ol’ cuppa milk. 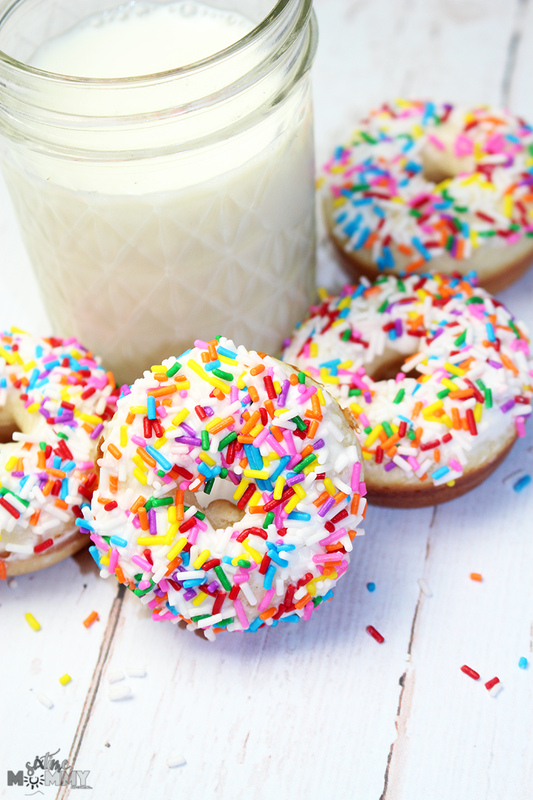 These donuts are small enough to snack on and feel no guilt about but the taste is big enough to satisfy even the biggest sweets craving. They are SO good. What are your favourite kind of donuts? Do you make your own?